A beautifully detailed dinosaur themed mat to fit in to an Active World Tray. The mat is designed for wet or dry play. 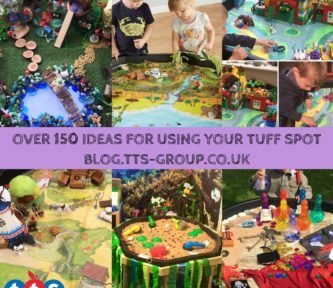 Why not fill with sand or other messy play materials and create a prehistoric land. Walk with the dinosaurs, see the erupting volcano and watch the eggs hatch but be careful where you tread.. you never know what's behind you!